Sorry to state the obvious, but it is cold. At this point, my fingers were getting that odd red-hot feeling from the cold, so I gave up. 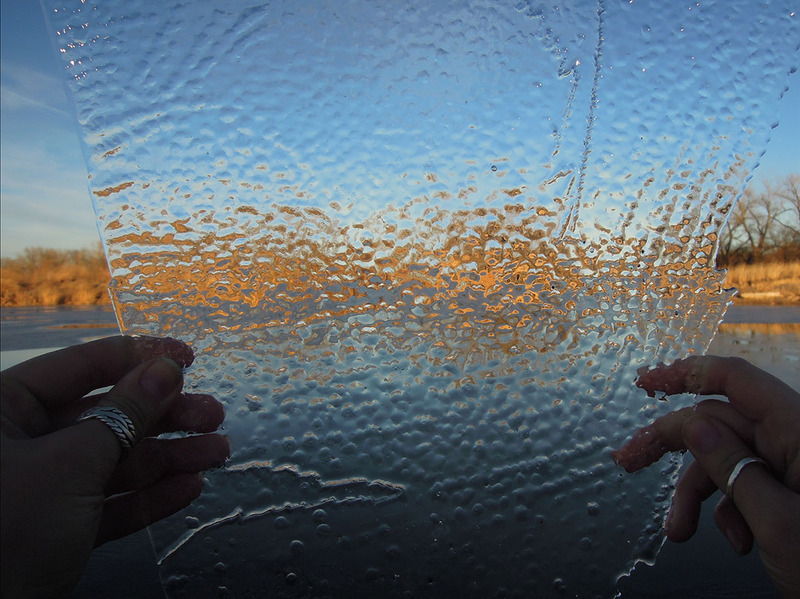 I just loved how beautifully the ice distorted the landscape. On another note, I wanted to express my sincerest gratitude to all of those who have participated in the survey I posted last week. We’re learning some really neat things that will help us reflect on how we can do better. I’m also learning a lot about how to conduct surveys! There are already a number of things I would do differently in light of what I know now, but I’m learning that this is simply the nature of experimentation. I will DEFINITELY write a post about my findings and supply links to any additional write-ups that I make. For those who have not yet shared their thoughts about the blog, there is still time! I plan to close it for review this Friday. Click HERE to take the survey and fire away! 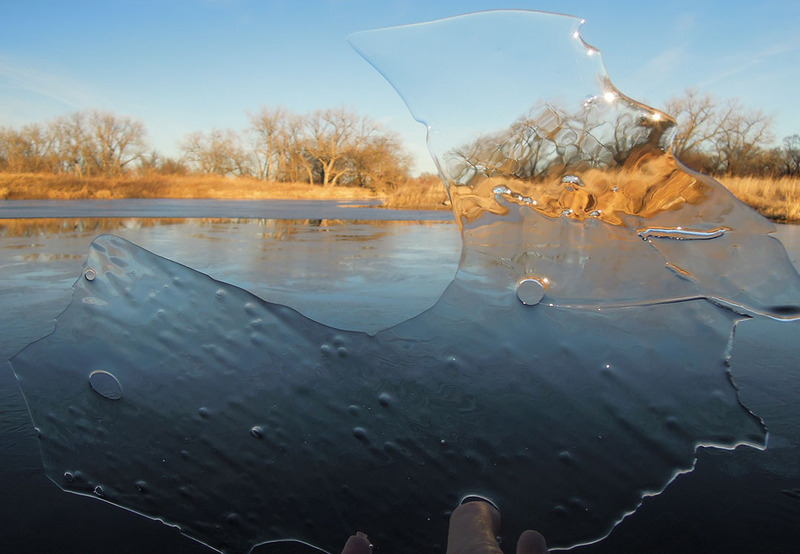 This entry was posted in General, Prairie Photography and tagged distortion, eliza perry, hubbard fellowship, ice, photographs through ice, prairie, the nature conservancy by Chris Helzer. Bookmark the permalink. 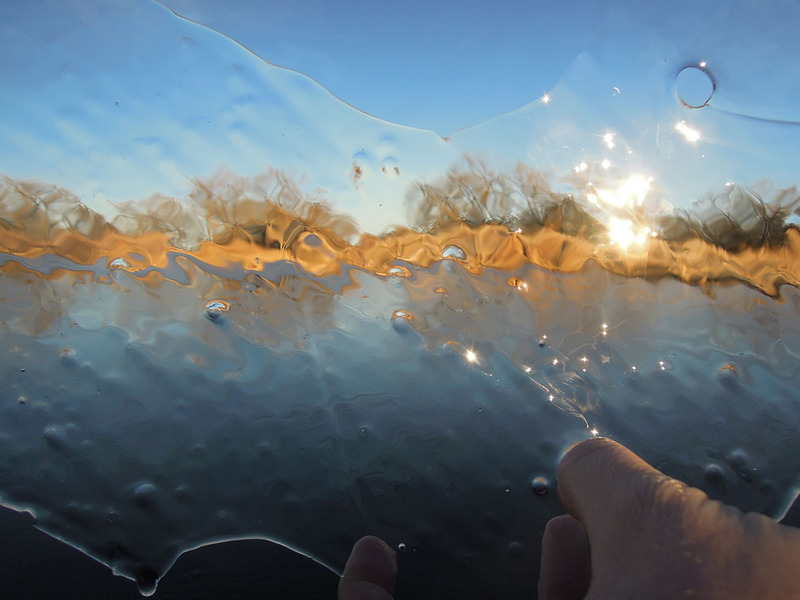 Those photographs are beautiful, who knew distorted light could be so damn pretty?